We've all done it. Whether it's motivated by curiosity, romantic interest or something a bit more sinister, it's sometimes hard to resist trawling through someone's Facebook activity. You might be looking for specific evidence of something, or just trying to get a better sense of them, but whatever the reason, we all do it and have it done to us alike. The world after Facebook is just a little bit creepier than the one before, for better or worse. Stories, the latest addition to Facebook's feature list, has been making waves largely duo to its striking (and predictable) similarity to Snapchat's feature of same name, but now there's something else pricking people's ears. Any time you view another person's Facebook Story (which only stays up for 24 hours), the person in question will be notified. That doesn't sound so bad by itself, but in the words of Dennis Reynolds, it's 'the implication' that's really the problem here. Try this out - post a Facebook Story, and then keep an eye on the list of people who have viewed it. See anyone you don't usually talk to on that list? Now think to yourself, if they're viewing your Facebook Stories, what else of yours have they been looking at, and why? If you just felt a chill run down your spine, that's understandable. Of course, seeing people you don't normally associate with on the 'viewed' list doesn't necessarily mean that they look at your other stuff, but it's far from a stretch. On Snapchat and Instagram, the amount of personal information on offer is far more limited, but with Facebook people tend to share a lot more openly and frequently. Even in the unlikely event that Facebook Stories have no bearing on the rest of the platform, it's going to make people think twice about what they post. Facebook is, as I've said before, a real danger zone for anyone with social anxiety. Knowing when someone read your last message is particularly troubling, or even someone else knowing when you've read theirs. 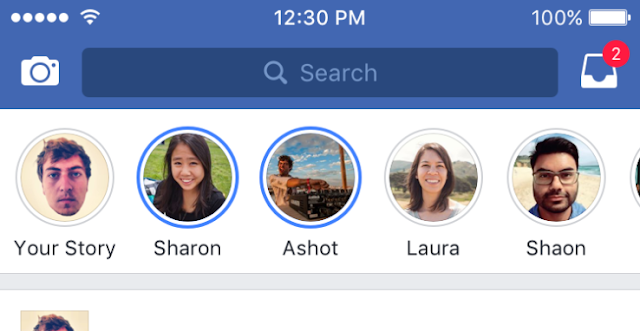 Being able to see how views your Facebook Stories only adds to this paranoia crucible, and it may cause a large section of the userbase to shun the feature entirely. You have to figure that Facebook took this into account, and yet they still elected to include the viewed list. Not that I'm suggesting that it was deliberate, it's more likely that they were in such a rush to get the feature out that they didn't have time to really examine which features might need to be reworked or removed from the framework used by Instagram and Messenger. The feature was always going to take a while to catch on, but with news spreading about the stalker-unfriendly nature of it, it may never catch on at all.